March is not a rainy period for the states of Jharkhand and Bihar, but the present condition looks much worse. The amount of rain received by these states so far is way less than the monthly normal. The state of Jharkhand was running deficient by 20% in the Winter season and it continues to be deficient by 66% during the Pre-Monsoon period. On the other hand, Chhattisgarh performed well during the Winter season and ended with an excess of 24%. Now however, the state is rain deficient by 74%. Good news is that a Confluence Zone is soon expected to develop from Southwest Uttar Pradesh up to Gangetic West Bengal across North Chhattisgarh and Jharkhand. Therefore, we expect isolated rains over North Chhattisgarh and parts of Jharkhand today. Gradually the rain intensity will increase and between March 14 and 17, we expect good rain and thundershower activities over Northern parts of Chhattisgarh and many parts of Jharkhand. 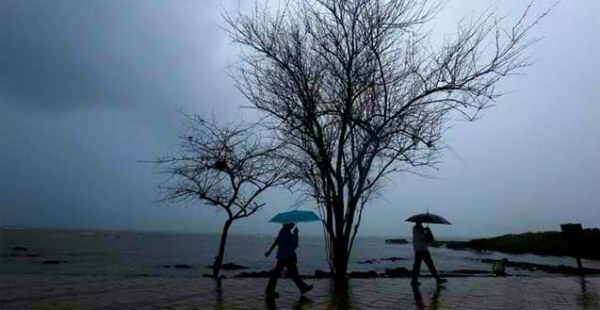 Jharkhand may receive few intense spells of rain and thundershower on March 16 and 17, accompanied with lightning strikes and thunderstorm activities. Not to forget, Pre-Monsoon season is famous for Kal baisakhi or Nor’westers over Chotta Nagpur region of East India. Although Nor’westers, start during April and May, we expect them much early, in the third week of March. After March 18, we expect the weather to start clearing up, but this good rain will certainly improve the rain deficiency of Jharkhand and Chhattisgarh.